Dr Jacqueline (Jacki) Schirmer is an Associate Professor in the Health Research Institute and the Institute for Applied Ecology at the University of Canberra, and Adjunct Fellow at the Fenner School of Environment and Society, Australian National University. She has 18 years research experience examining social dimensions of natural resource management, focused on Australia’s agriculture, fishing and forest industries. 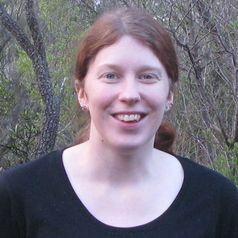 Her research interests focus on understanding social dimensions of natural resource management, particularly on how changing access to resources affects people's wellbeing, on understanding and addressing social conflict over the natural resource industries and land use change, and on community engagement and communication about environmental and land management issues.